Property Description: 2.84+/- Acres of Land & Improvements on State Rt. 33 General Lewis Puller Hwy. in Shacklefords, Va. 200ft. or Road Ftg., 1200sf. Main Shop, 720sf. Metal Shop Bldg., Block Bldg., Carport/Storage, Shed. 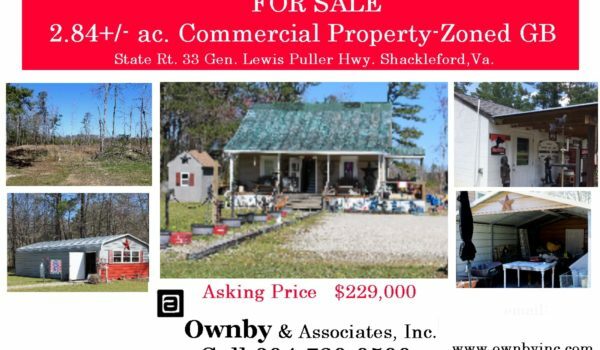 Property Zoned General Business, Located in King & Queen County’s Economic Development Corridor, just outside West Point, Va.